Whether it's traditional folk, folk revival, or new age folk music, our list has what you need! All the preeminent folk bands are listed in our comprehensive guide to folk music! Be sure to check them all out! An Infusion of Bluegrass and Folk! 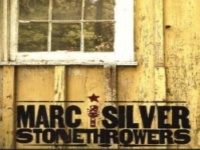 An interesting blend of upbeat, dancy, bluegrass riffs combined with peaceful calming folk-style lyrics gives you the band that is Marc Silver & the Stonethrowers. They travel all over the east coast and have played shows at such prestigious venues as The Philadelphia Folk Festival, The World Cafe Live, and the Kimmel Center. Marc Silver & the Stonethrowers have an event calendar to keep track of their shows for the public, along with an option to purchase tickets directly from the site. They play the occasional private party, which is arranged through their easy to use contact form. Coordinate your schedule to coincide with a show of theirs and witness a true spectacle in the folk community! 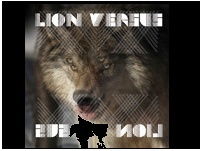 A Dark Gritty yet Delicate Folk Band! 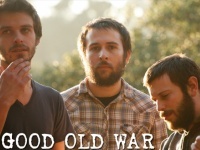 This Savannah formed neo-folk band redefines the classic notions of folk and neo-folk music. They make unsettling, dark music that at the heart has an alluring and delicate peace to it. The band originated in Savannah, Georgia and was the premier neo-folk band of the area. In 2008 they began to make a name for themselves in the Philadelphia folk community. They have recently released an album entitled "5 Hearts" which has sparked many show in the tri-state area. Some even say you can "hear" the creaking porches from their hometown within their songs. Give them a listen at their next show and see if you can hear it for yourself! Having only been around for roughly 4 years is nothing to judge this band on. In that short time frame, they have played venues all throughout the Midwest and are especially big in their hometown of Philadelphia. In addition, they have played at the 2011 Coachella Valley Music and Arts Festival. They get their unusual name from the last names of the band members (GOODwin, ArnOLD, and SchWARtz). They are well-received by their hometown Philadelphia Community. They have a list of tour dates on their websites' calendar. Stop in the next show they play to give Good Old War a listen. Their feel-good style music will leave you feeling nothing less! A Witty and Precocious Group of Young Musicians! 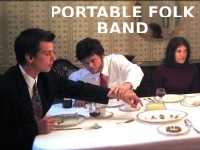 On top of being very individual performers with a sound incomparable, Portable Folk Band has quite the sense of humor as per their bands website. Beginning in Philadelphia and touring as far south as Florida, PFB has a wide range of music in both style and length. They have snippets lasting just 40 seconds to longer, more epic style songs lasting up to 11 minutes. There are a list of tour dates on their website in addition to several hilarious blog postings regarding merchandise, new songs, and personal stories about their lives. If you want to sit back and listen to some intriguing tunes played by some down to earth musicians, Portable Folk Band is for you! 1970's Folk Rock and Rustic Soul! 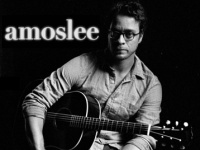 Amos Lee, born Ryan Anthony Massaro, is a Philadelphia born folk rock musician who while subtle in musical style, packs a punch with the message and intrinsic feeling in his sound. He has toured and collaborated with such artists as Bob Dylan, Norah Jones, and the Zac Brown Band. He has released several albums, (available for purchase from his website), and has toured many well-known festivals such as Southern Ground Music & Food festival. He still has a home in Philadelphia, spends most of his time there, and is frequently playing shows for his hometown. Pick up tickets next time you hear he is playing in Philadelphia, because they will sell out quickly!